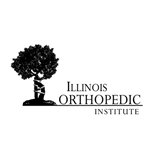 Illinois Orthopedic Institute (Channahon) - Book Appointment Online! At Illinois Orthopedic Institute we know what it means to live an active lifestyle. As a group, we make it our priority to get every patient back to theirs. We have 27 years of collective experience in Orthopedic care with a personal focus on innovative treatments and doctor-patient relationships. We believe compassionate, patient focused care is the recipe for the best outcomes. Many factors contribute to being able to provide quality Orthopedic treatment and care to our patients. What sets IOI apart is a philosophy focused on comprehensive treatment, which involves developing a meaningful doctor-patient relationship that meets our patients’ needs and goals. We provide years of experience and education with the care and relationships of a small town medical community. Read more below on our Philosophy, our practices and how and why we are different from other Orthopedic Practices. Extremely happy with the whole staff, and pleased with my care plan. Always a pleasant experience in this office. Front staff always greets you with a smile, and Dr. George and his resident are professional and care is top notch.